Over the fast years, Taiwan Excellence activities have brought Filipinos closer to Taiwanese products. These innovative and high quality products have seen greater acceptance in the market and have become an integral part of the Filipino lifestyle – from appliances, gadgets and equipment that makes committing to a healthy goal easier. Taiwan continuously reinforces its importance as the Philippines’ trading partner. According to 2015 Philippine Statistics Authority data,Taiwan is the 4th top import country (with $5.2 billion imports) and the 9th top export country (with $2.2 billion exports) in the world. 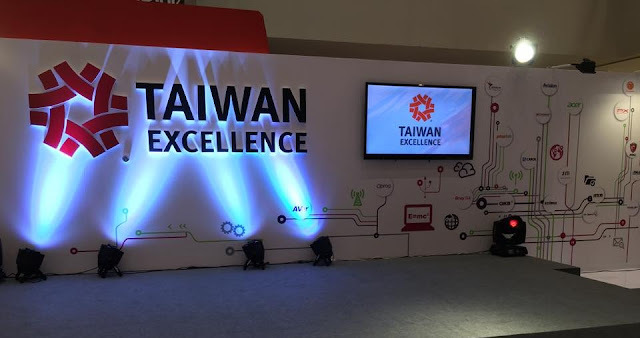 With this, Taiwan Excellence campaign, which is organized by Bureau of Foreign Trade (BOFT) of Taiwan government and implemented by Taiwan External Trade Development Council (TAITRA), is again rolling out for the 3rd year in the Philippines to further strengthen trading ties between the 2 countries. This year, Taiwan Excellence will introduce its latest product line-up, all of which capture Taiwan brands’ features that have gained global recognition for their distinct quality and sheer excellence.